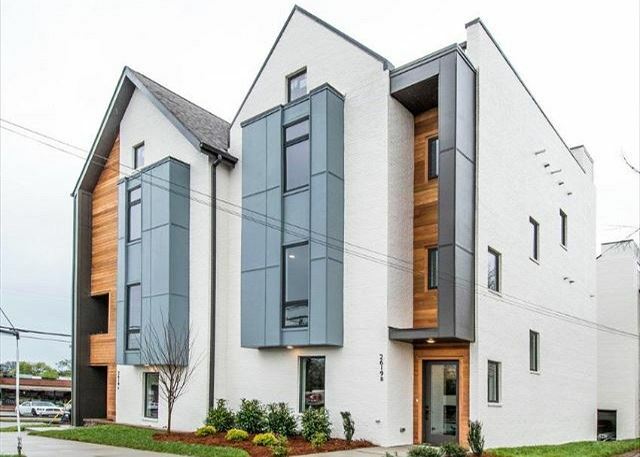 This brand new, luxury home is in Historic & Hip East Nashville, only 5 minutes from Downtown. It was furnished with high-end style and comfort in mind, including the carefully selected artwork. Each room was designed to offer the comforts of home with a touch of flair. Don't just settle for a house with blank walls that is filled with "budget" beds. If you are looking to create your own Music City story, select this home that will not just accommodate you, but inspire and delight you. All 3 bedrooms have an en suite full bath and were designed with the flexibility to be perfect for 3 couples wanting privacy OR groups up to 10 that need LOTS of sleeping options. The entry level has one bedroom with a queen over queen bunk and sleeps up to 4 guests comfortably. One level up is the main floor with a welcoming, large dining suite, modern kitchen with a large bar, stainless steel appliances and kitchen island seating. Sink into any of the seating options that beckon you with plush textures and rich colors. The next level offers the Master Suite with a king bed, twin bed, and en suite full bath. The Queen suite offers an amazing, lavish Queen daybed with an 18-inch hybrid mattress and a twin trundle with a (real) mattress. One more level up is the roof top with a view of the City skyline, outfitted with quality Broyhill furniture and a fire feature! Each couple has its own private suite with a plush king or queen bed and private bathroom. Our rental was very nice! Updated furnishings and very clean. It was Thanksgiving so there were additional items to use for cooking a Thanksgiving dinner supplied by Playlist Properties. The staff were all helpful too! We loved the rooftop view of downtown at sunset and comfortable furniture in all settings. Kitchen has every amenity you could want. Bedrooms very quiet when we finally settled down. Easy quick Uber to downtown, and nice dining options for brunch very nearby (Marche especially). Our 3-story loft was brand-new sparkly clean. 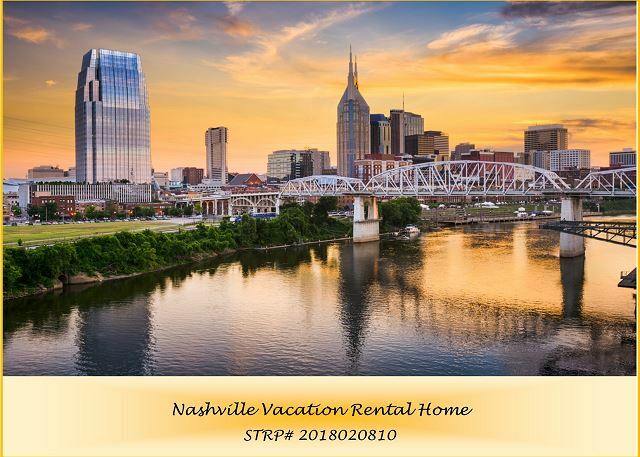 My family and I visit Nashville regularly, this time we chose th stay with playlist properties, and we have been planning our next trip and home renovations based on our stay. Being so close to downtown it was easy to navigate to places like The stadium and bicentennial park. The whole home was clean and modern. Everyone loved the rooftop, morning or night you would find at least one of us looking at downtown taking in the views. The team was very helpful with our many tourist questions and really made me feel at home. It was hard to leave!